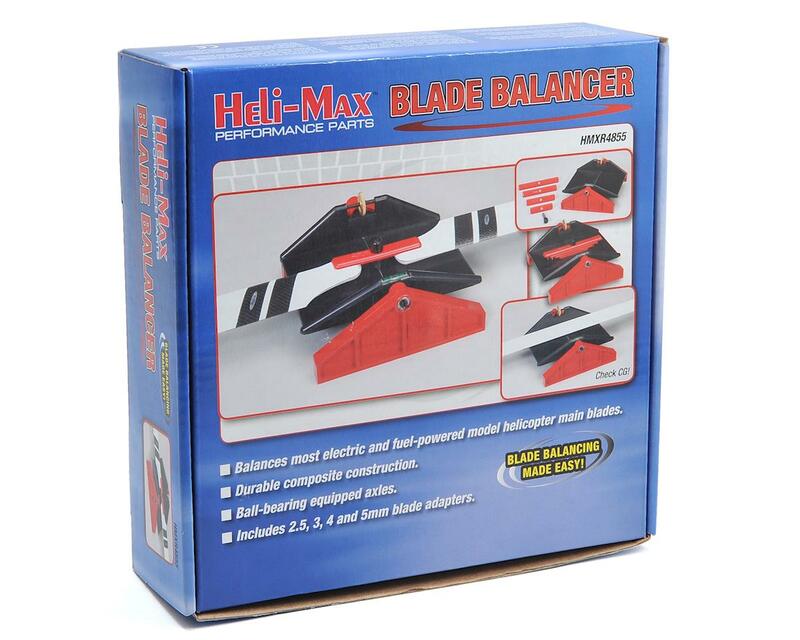 This is the Heli-Max Blade Balancer. 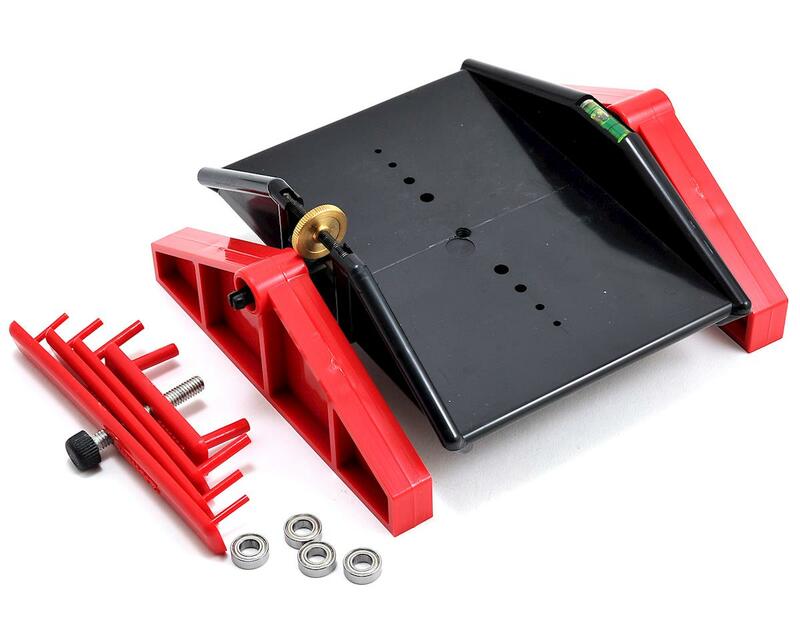 Inexpensive heli blade maintenance now made easy! Effectively minimizes heli blade vibration to enhance performance. An adjustable weight ensures perfect level, as measured by the bubble level. Determines the CG for a single blade — or use any of the included adapters (2.5mm, 3mm, 4mm & 5mm) to center two blades for balancing. 1/2" x 36' rolls of Tracking Tape are available separately (HMXE4710).